The nation of #Israel dispersed among the nations so other nations will join it. If the nation cannot proceed toward unity, enemies appear such as Amalek and #Hitler, not letting us rest—inciting us to break free from the ego, even though it’s not in a good way. The prophet said (#Isaiah 14): “The nations will take them and bring them to the place, and the house of Israel will settle (assemble) in the Creator’s land.” The nation of Israel assembles under pressure from the nations of the world. We always receive everything from the Creator. The feeling of suffering is considered to be the feeling of the reverse side of the Creator, since He is “Good that does good.” And it is necessary to strengthen the faith in the Creator, not to fall into thinking that there is I or some other source of my states. The image of the #caricature of Jews at the carnival near #Brussels is certainly anti-Semitic. Such is the movement in the EU and the whole world. But the indignation of the Jews is puzzling: isn’t it about time to understand the cause of eternal #Antisemitism? And not be surprised every time about its manifestation … ? Question: What should one ask for when one experiences strong physical suffering and pain? The reason is egoism, the oppositeness to the Light. There is nothing else. You can ask for your own correction in order to change pain to joy, health, and so on because the states of suffering push us away and distance us from the Creator. 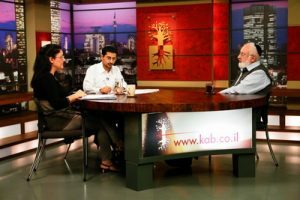 Question: Where do Kabbalists get energy for spiritual exertion? Answer: Only from the Creator! You want to have energy, to be healthy, to work in spiritually, no problem! You will get everything! As much energy as you want! Just let the energy flow from above so that you can perform the right spiritual actions of drawing closer to others and advancing toward the property of love and bestowal. Then you will have an infinite amount of energy. This is not the kind of energy required by our brain or body to perform some kind of movement. It is a completely different kind of energy. It is all around us, endlessly spreading through the spiritual universe in unlimited ways. Shaming others damages good connections in the social network and introduces bad feedback in life. When we shame someone, we erase the person and destroy his connection to the system and the possibility that he could be corrected. He is not to blame for the harm he does to others since the environment has shaped him that way. What helps is to give an opposite, loving example and focus on correcting the network of connection around him. We need to become more sensitive to one another by building a new, social, educational system. All hurts can be healed and balance can be achieved through a loving society.